Finding reliable lawn services in Charlotte, North Carolina is as easy as picking up the phone. With over 30 years of experience serving the area, our company has a stellar reputation and produces satisfying results. What’s our secret? 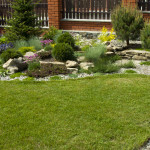 Think Green Lawn Service promotes ideal growing conditions. Once established, your lawn will stay lush and green despite dealing with the area’s most common challenges. Charlotte homeowners spend less on fertilizer, weed control and other applications when they hire a professional company to provide their lawn care. Our company has access to higher quality solutions, but we also have the knowledge to put each application to its best use. Once improved, your grass root system will have a much easier time absorbing treatments from the ground. Proper soil conditions are key to growing a lush, healthy lawn. Without the right balance, your lawn treatments often go to waste. Once we achieve the best soil conditions, there are a few ongoing treatments needed to sustain thick, robust lawn growth. We have a system for alternating fertilizer and weed control capable of managing the needs of most lawns. While retail solutions often focus on granular products spread across your entire yard, as professionals, we’re able to deliver precise spray applications where needed, resulting in lawns with uniform color and growth. 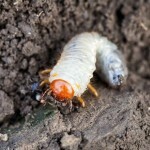 Our weed and pest control services are among the best in the business. Gentle enough for homes with children and pets, our solutions effectively manage invasive species of all types. We rely on pre- and post-emergent solutions as well. This one-two combo effectively prevents overall growth of common invasive plants while treating individual specimens that blow or migrate onto your property. Think Green Lawn Service also provides specialty solutions for some of the South’s most annoying problems – specifically mosquito control. Enjoy a spring, summer and fall free of buzzing, biting insects. 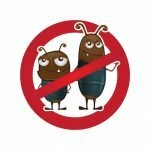 Our regular applications will keep bugs at bay while utilizing gentle treatments you can trust around your children and pets. One elementary aspect of appropriate lawn care is simply identifying grass types and creating a treatment plan suited to the species. In an area where both cool- and warm-season grasses flourish, it can be easy to get confused. When you hear neighbors debating over the best times to aerate Charlotte lawns or when they should apply lime, it usually comes down to a difference in grass type. Think Green has provided lawn services in Charlotte, North Carolina for over 30 years. We have the knowledge and experience needed to quickly determine your yard’s needs. Whether you have fescue or St. Augustine, you can always count on us to deliver the best treatment plan to keep your lawn looking and feeling healthy. Call Think Green Lawn Service at (844) 648-2556 to learn more about the options for lawn services in Charlotte, North Carolina. Schedule an in-person consultation for lawn services in Charlotte, North Carolina, and achieve a thick, lush lawn in no time.